Has been recorded at scattered spots around the state. It may be increasing its range into the northeast. 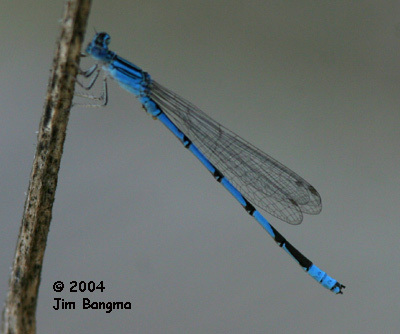 A small bluet, the abdomen is more blue than black. 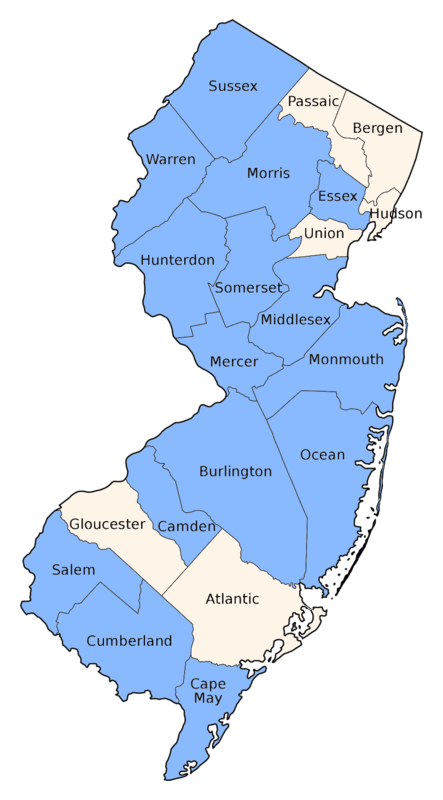 Typically S8 &S9 are completely blue and S10 is 1/2 blue. The black humeral stripe is narrowly divided by a thin blue line that can be hard to see but is diagnostic. 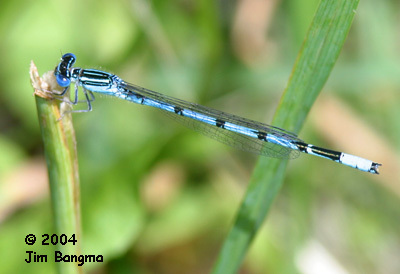 The black middorsal stripe is also divided by a blue line, similar to the much larger Big Bluet.